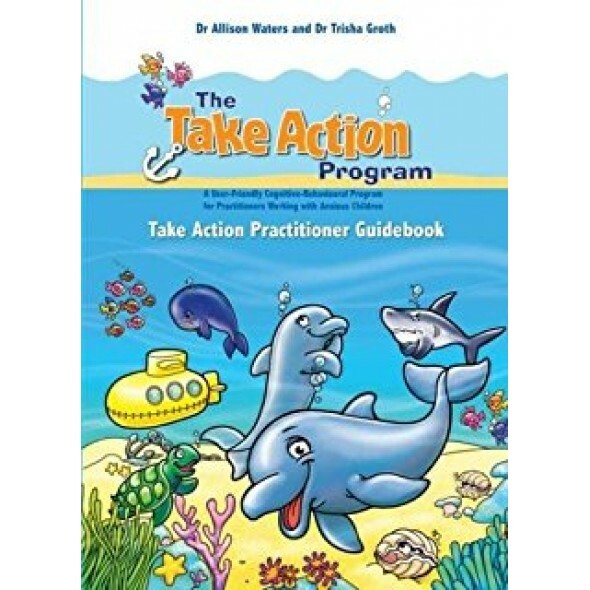 The Take Action Practitioner Guidebook is a user-friendly guide to the Take Action Program, detailing the assessment and treatment of child anxiety. It is designed to be used with two companion workbooks: the Take Action Child Handout Workbook and Take Action Parent Handout Workbook. This practitioner guide uses an easy-to-read standardised layout of content to guide you through the steps covered in each treatment module as well as including child and parent handouts which may be photocopied. It also includes an assessment module providing useful information on a range of assessment measures for those practitioners wanting to use pre and post intervention outcome measures. The six treatment modules can be used sequentially across eight to ten weeks to provide an individual or group intervention. Clients can be provided with a professional and permanent record of therapy via the handouts and worksheets from the guide being purchased separately as the accompanying Take Action Child Handout Workbook and Take Action Parent Handout Workbook. The program teaches children aged 4–12 years helpful ways to cope with and manage anxiety. It is an evidence-based intervention combining recent research on threat-based cognitive biases and maladaptive thinking styles in childhood anxiety disorders with the well-established principles of cognitive behaviour therapy (CBT). Designed for easy use by mental health and educational professionals trained in CBT, Take Action allows flexible delivery by practitioners to individuals and groups of children with anxiety. The word ACTION is a coping-oriented acronym used throughout the program. Children are encouraged to take action against their anxiety. This means children approach their fears and worries using strategies learnt during the program.